This lot is for 48 whistles, individually blister packed. Don't pay $4.99 per whistle elsewhere! 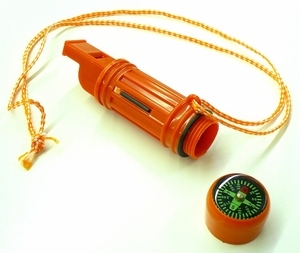 For your safety we offer this 5in1 Survival Whistle which is also included in many of our emergency kits! - tight compartment to store cash or keys or matches, etc.